If you recently got engaged and are feeling a little overwhelmed and don’t have a clue where to start, why not make a plan to get to one of the upcoming wedding expo’s that are taking place. Here you’ll be able to find out plenty of useful tips and great information and service providers to help make your wedding as special as you always dreamt it to be. 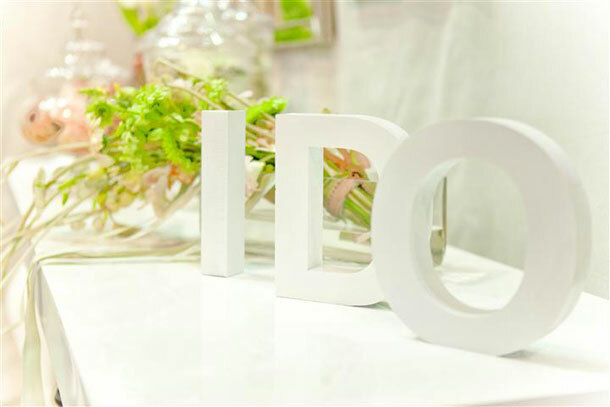 The Bridal Indaba takes place at the Indaba Hotel in Fourways on 4 and 5 February 2012 and is one of the top bridal shows in South Africa. The show is in its eighth year and this year promises to be a success. Bring your fiancé or a friend and come and see all the latest fashion and trends that are available to you. You can even attend one of the Bridal Workshops which include presentations from specialists in wedding cakes, flowers, décor and more. For more information telephone +27 (0)11 469-3825. Make your way to the Expo4Brides at Hall J (Furniture Hall), Tshwane Event Centre on 18 and 19 February 2012. You can come and meet more that 120 specialists in the bridal industry. Find the perfect photographer to capture your special day or meet the co-ordinator of your dreams to help you plan your wedding. Don’t forget about the exciting competitions on offer. For more information telephone +27 (0)12 365-2205 / 6 / 7. The 11th Canal Walk Bridal Fair will be taking place from 24-26 February 2012 at Canal Walk, Century City and will inspire and excite newly engaged couples. This is one of the most popular bridal fairs in the city and offers more than 150 professional suppliers to help you make your wedding spectacular. From gorgeous wedding gowns, to stunning venues and everything in between. The fair is open from 09h00 to 12h00 daily and for more details you can telephone Cheryl Wade Events on +27 (0)21 914-2852. Come and visit one of KwaZulu Natal’s premier wedding expo’s, the NWJ Bridal Show will be held at the Durban Exhibition Centre from 2-4 March 2012. Find wonderful suppliers to make your wedding day unique. Come and meet suppliers from all spheres of the wedding process from invitations, to caterers, DJs and more. Don’t forget to stay and watch the fashion show to see the latest in bridal trends. For further details telephone +27 (0)31 312-7567 during office hours. Will You Be At The Guvon Hotels & Spas Bridal Open Day? Will You Be at the South Coast Bridal Fair at Izotsha Creek Estate? Thanks!! This is very useful.